Skin surgery is usually performed to remove a skin cancer. Sometimes we will remove lesions for testing, or remove a benign lesion such as a cyst if it is causing problems. Dermatologists and plastic surgeons perform such procedures very often. Skin surgery is usually booked after a consultation with the dermatologist to discuss the procedure and associated care of the area after surgery. Out-of-pocket costs are also quoted for you in advance. We generally do not perform surgery on the same day as your first visit, although sometimes a biopsy may be taken for pathology. Here at Kew Dermatology, we have a fully equipped procedure room with professional equipment for excising skin lesions and skin cancers. Most of the procedures are performed with a simple local anaesthetic. However, if you have particular anxiety regarding your procedure, we have a number of options that can make it as stress-free as possible. 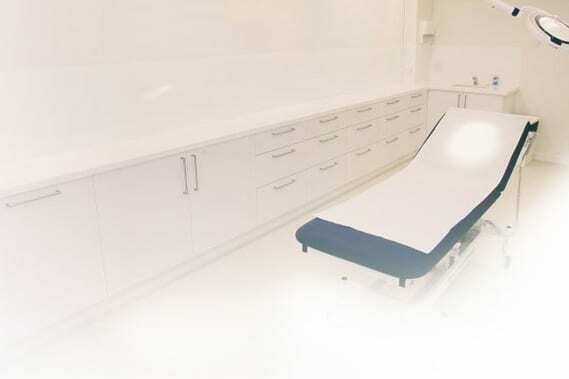 Dr Peter Sinclair is able to offer sedation for procedures when he operates at the Linley Clinic Day Surgery facility. It is always best to discuss any concerns prior to booking your surgery. You need to get enough sleep before the procedure, and your dermatologist may advise you to stop certain medications prior to the surgery. These medications include vitamin E supplements, ibuprofen and fish oil. If your surgery is being performed with local anaesthetic only, then you should eat and drink as normal before coming to the clinic rooms. If you take medications to thin the blood, this should be discussed with your dermatologist before booking any surgery. In most cases these medications are continued. Mild tenderness is common, but most patients do not experience any pain. You will be provided with instructions by the doctor performing your procedure about how to care for the area after surgery, when to have dressings changed, and when to return for your results and to have sutures removed.